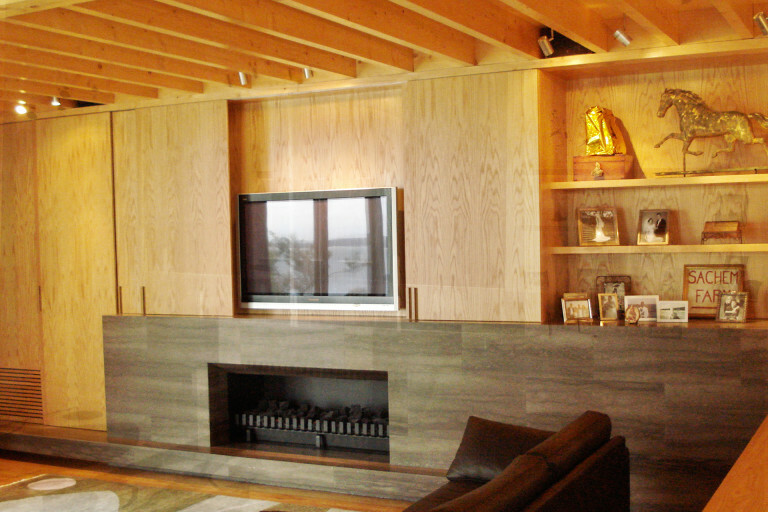 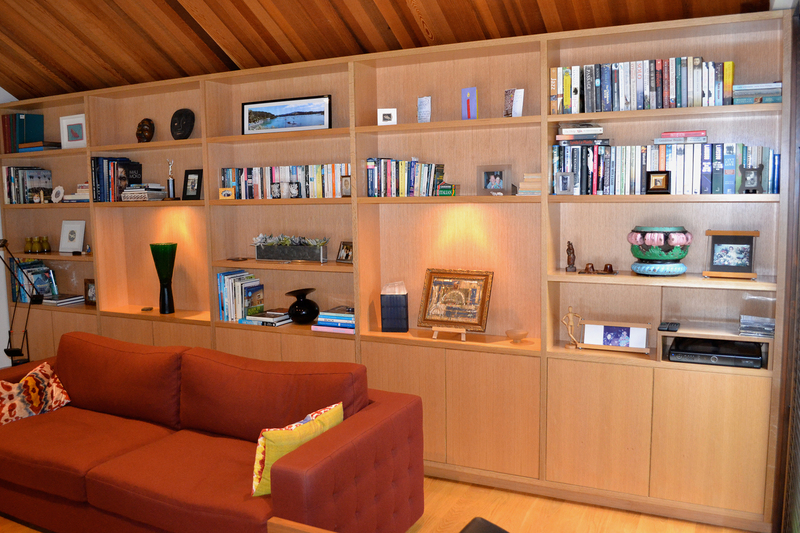 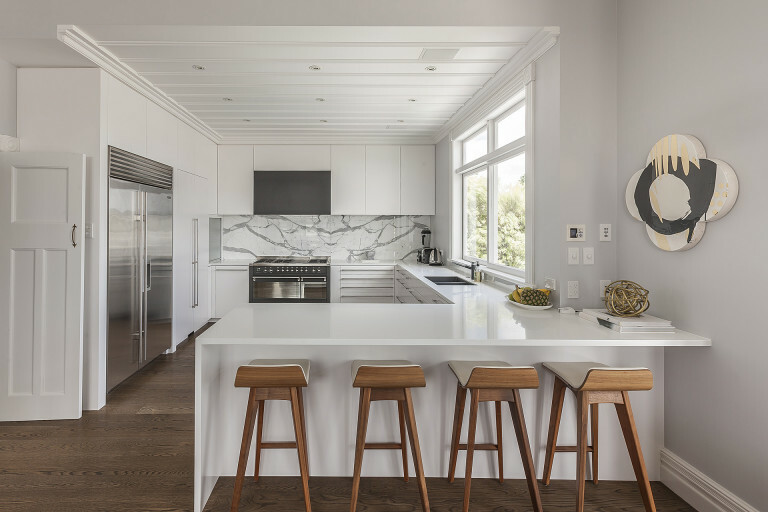 The extensive use of crown cut American white oak in the kitchen and living areas of this residence is a beautiful example of how different grains from a single material can add texture to an environment. 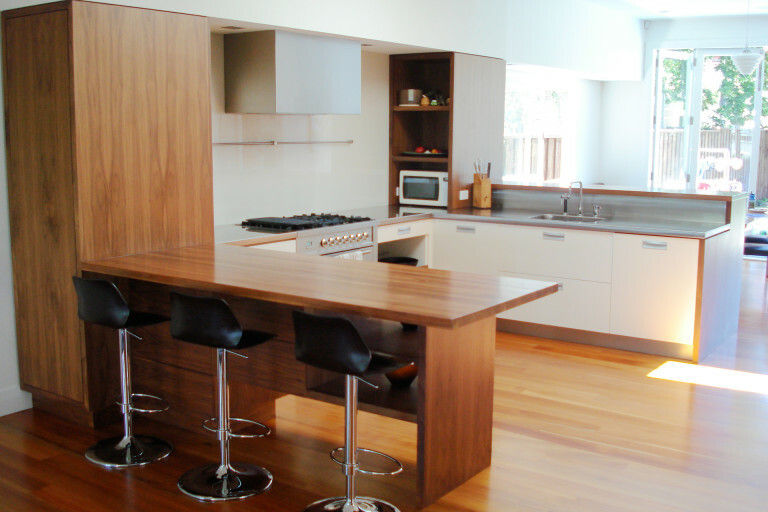 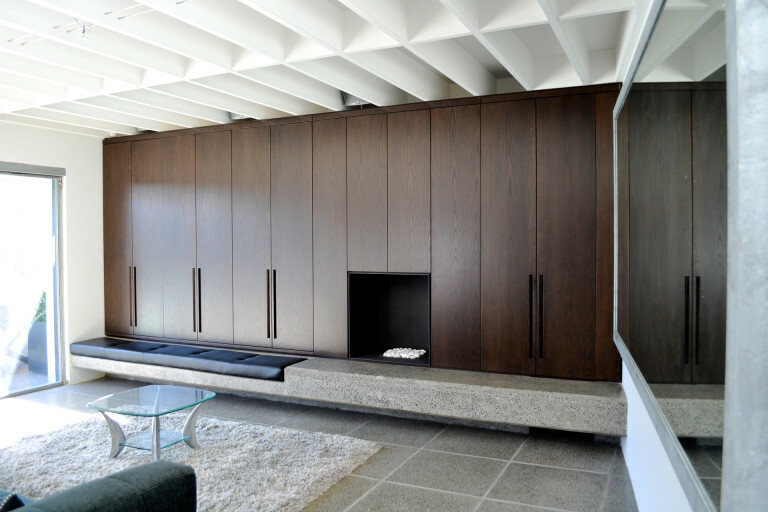 Walnut and stainless steel are the primary materials used in this Grey Lynn kitchen. 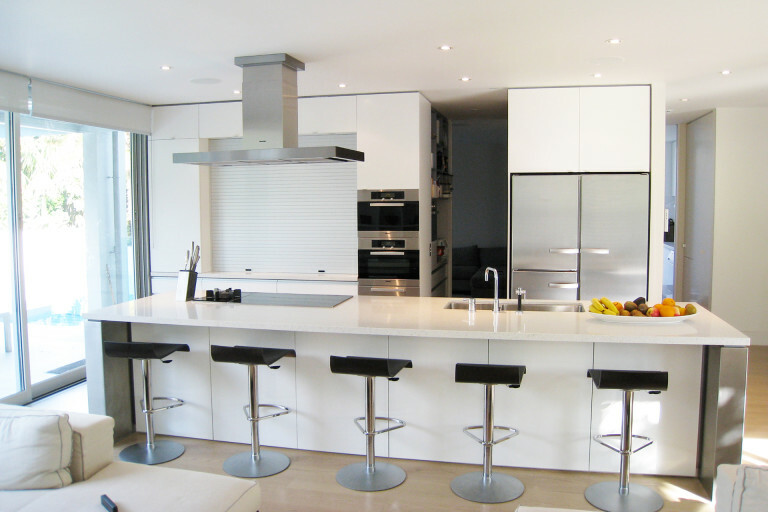 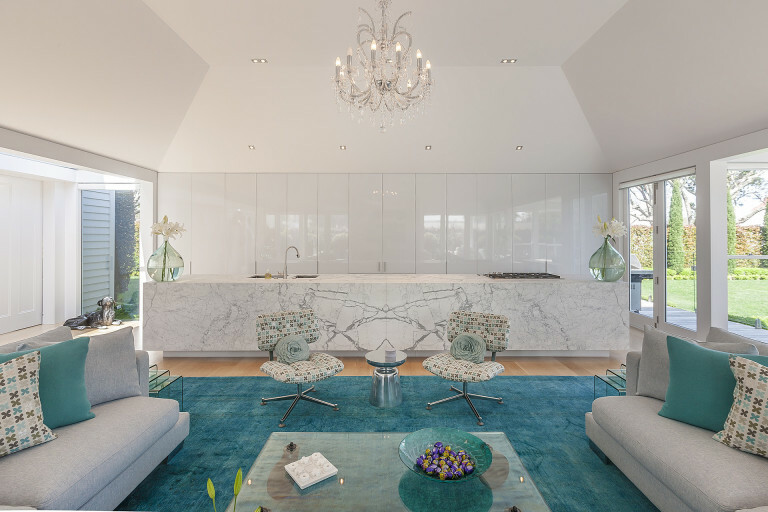 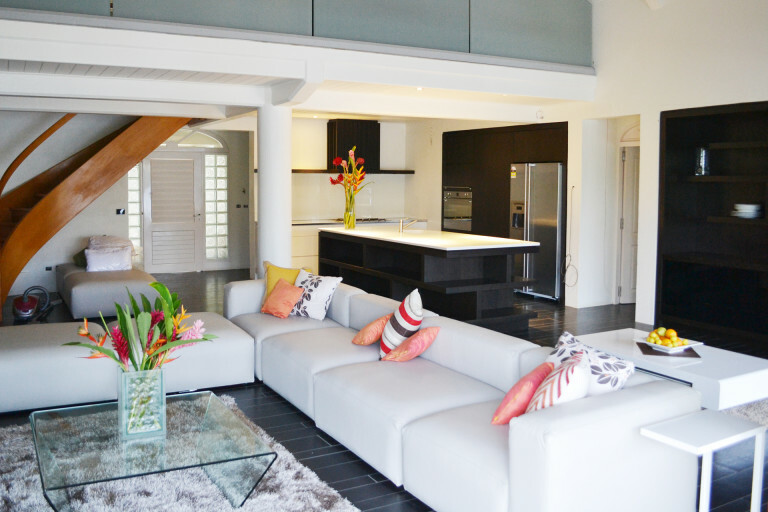 White and silver are the predominant colour palette in this combined living and kitchen area.